Blomberg believes your home should be as smart as you are, in every sense of the word. That includes performing flawlessly while protecting the planet. 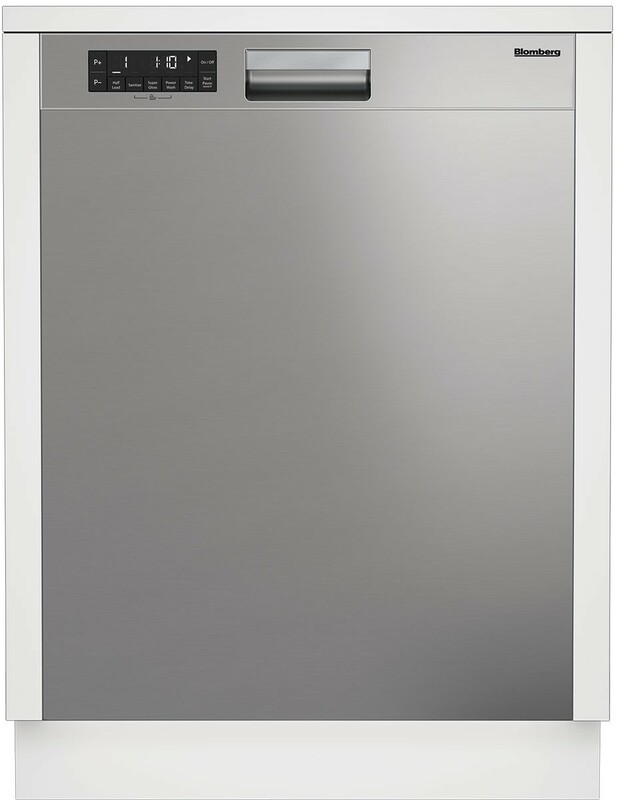 It’s a philosophy that earned us the ENERGY STAR® 2017 Partner of the Year Award and elevated this dishwasher to the 2018 ENERGY STAR® Most Efficient list, which recognizes products delivering cutting-edge energy conservation with the latest in technological innovation. Load without limits! Create a completely flat lower rack to fit in bulky pots and pans or a custom configuration that allows the proper placement of uniquely shaped items for thorough cleaning. 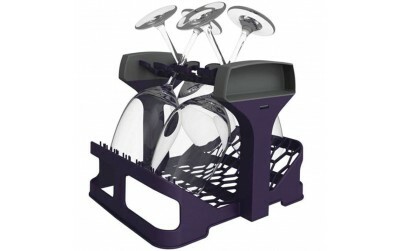 Simply fold down the individual tines and this multi-purpose rack can handle anything from extra-long utensils and roasters to those extra glasses and cups that didn’t fit on the top rack. 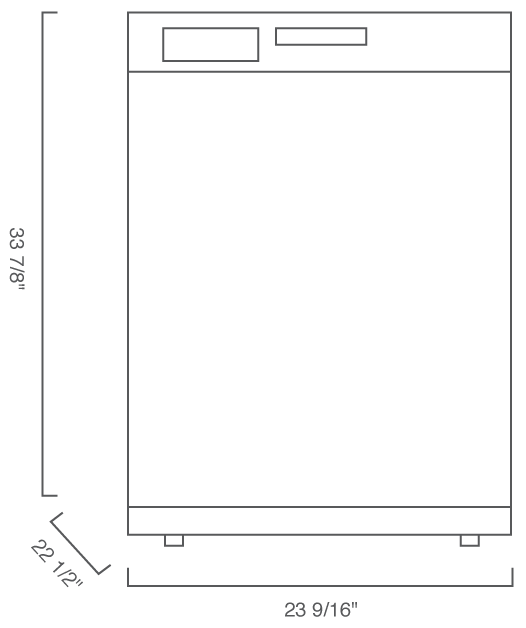 Blomberg dishwashers are designed for today’s lifestyles, including generously proportioned racks that accommodate dinner plates up to 13 inches in diameter, as well as oversized serving dishes, your favorite cooking pots, and lots of glassware. 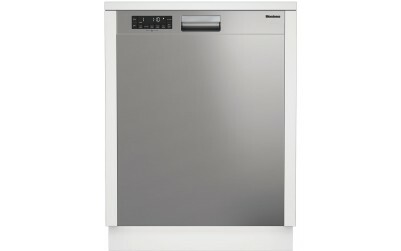 Manufactured with the best stainless steel materials available, the interior of every Blomberg dishwasher performs as good as it looks. In addition to resisting hard-water stains, spots, and corrosion for better durability, it absorbs noise more efficiently than plastic tubs and can be heated to the highest washing temperature on the market—167°F—to completely sanitize your dishes. 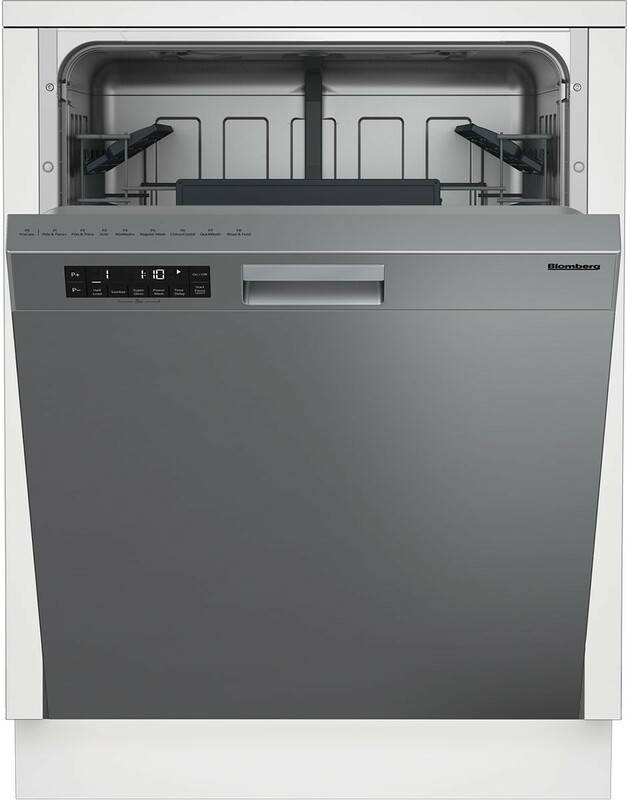 Blomberg technology makes it possible to regulate water hardness inside the dishwasher by manually optimizing the mixture of water from the tap and water from the softening unit. The result is sparkling glassware that is better protected from corrosion or abrasion.